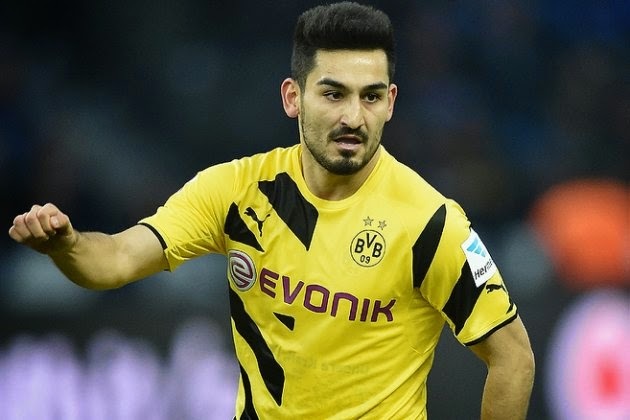 Bayern Munich have shown interest in signing Manchester United target Ilkay Gundogan. The Borussia Dortmund midfielder is expected to make a decision about his future on Friday as Dortmund press for answers with one year left to run on his current contract. Arsenal and Atletico Madrid have also asked to be kept informed of the anchorman's intentions. Gundogan, who has nine international caps and two goals for Germany, has been with Dortmund since 2011 when he joined from Nuremberg for a £4million fee. Any deal to sign him now, though, would cost much more than that, with figures around the £20m mark being mooted. Gundogan was part Jurgen Klopp's Dortmund side that won the league and cup double in the 2011-12 season. Gundogan also was part of the Dortmund side that beat Bayern on Tuesday night to reach the final of the DFB-Pokal. The midfielder scored Bayern's opening penalty in their 2-0 shoot-out win after the game had finished 1-1 after extra time.